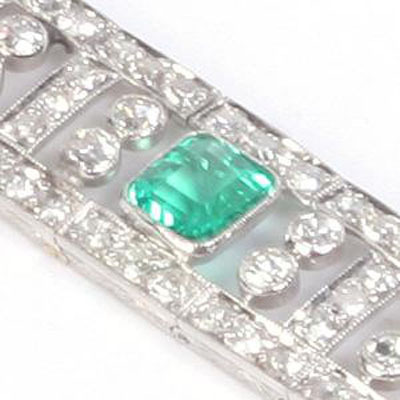 Diamond & Emerald Deco Period Bracelet at Reliable Gold in Rhode Island Reliable Gold Ltd. 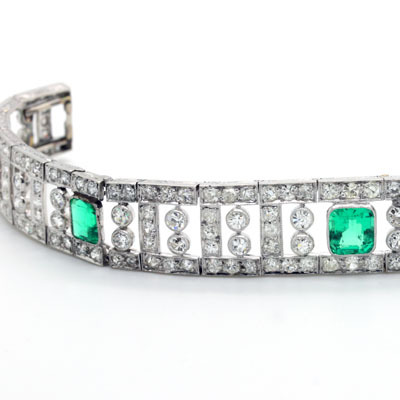 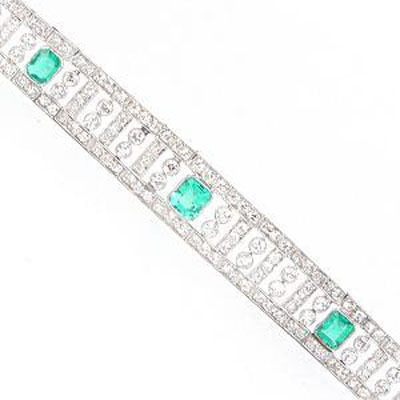 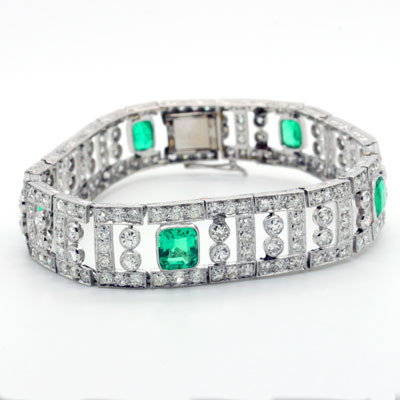 Superb platinum, diamond & emerald Deco period bracelet. 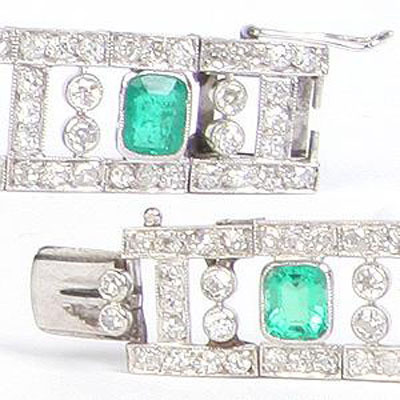 European cut diamonds, total weight 8.04cts, F-G, VVS 2; 5 emerald cut emeralds, total weight 4.01cts. 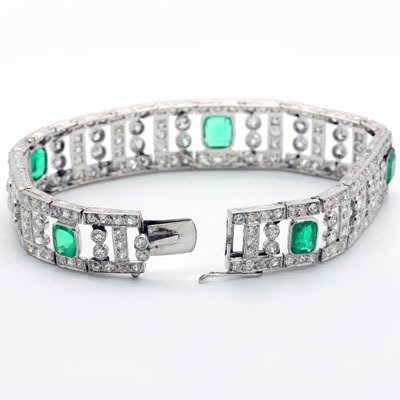 The bracelet measures 6 5/8" in length, and graduates in width from 3/8" to 1/4" center to end with a figure 8 safety clasp.